It’s easy to get into a rut of routine and fall into predictable patterns. Life becomes a blur; a hamster wheel of repetition. Break the script and learn how to slow down time with these three simple tips. Three years ago, our family moved from the suburbs of a major city to the small town of Traverse City, Michigan. We desired to slow down, spend less time working and more time living, and raise our three young girls in a place that empowered an outdoor, adventurous lifestyle. High on my bucket list was to do more camping, which was a favorite activity of my childhood, but was something I had not done with my own kids. Before our move to northern Michigan, our family vacations had been more of the typical variety—time spent on the beach in Florida or exploring big cities. When we moved, we purchased a small, vintage camper, and headed to Michigan’s Upper Peninsula for our first camping trip as a family. It was a rustic, rugged affair—a no-frills campground deep in the forest on the shores of Lake Superior. And it was magical. From the sights and the smells to the sounds and the textures, I remember almost every moment of the trip in vivid detail. I can still taste the s’mores, smell the campfire, and feel the frigid lake water lapping at my ankles. It was a trip full of first moments. Our recent trip to Florida, on the other hand, is a bit of a blur. Some memories are clear, but I have a hard time distinguishing last year’s spring break trip from past ones. On the surface, this seems odd. After all, one trip was three years ago, while the other was just six months ago. So what’s the difference? Why does one experience leave such a lasting impression? It’s likely due to the same reason that time seems to slow down when you’re young and speed up as you get older. The novelty of an experience impacts how your brain perceives it. David Eagleman is a neuroscientist and author who studies how our brains perceive time. In an article in the New Yorker, he explains that our brains process familiar information quickly. But when new information is introduced, it takes our minds longer to organize and synthesize the data, making the experience more memorable. The memories made from fresh and exciting experiences are so dense and vivid that they create the perception we are actually slowing down time. When you’re young, everything is new and novel. You’re engaging in “firsts” at a rapid pace: first kiss, first time driving, first day of high school and college, first job, first travel without your parents. The novelty of these “first moments” slow down time and creates rich memories and therefore the time periods of high school and college seem like they lasted forever. It’s when everything seems varied, new, and novel—hence, the reminiscence bump. On the other hand, four years during your forties can feel like it goes by in a flash. 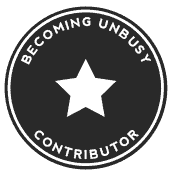 As you get older, it’s easy to get into a rut of routine and fall into predictable patterns. There’s very little pattern interruption. In other words, there’s nothing to “break the script.” Life becomes a blur; a hamster wheel of repetition. The worst part: While repetitious days drag by, life speeds away. So, what’s the best way to break the monotony, slow down time, and create more meaningful memories? In our experience, the best way to slow down time is to purposefully and intentionally pursue more “first moments” in life. David Eagleman referred to time as “a rubbery thing.” What he was getting at is that while we can’t stop the passage of time, we can mold our perception of it. We can interrupt the patterns of our lives by introducing more novelty and new experiences into them, and create more memories born of first moments, and derive more meaning from them as a result. 1. Keep it simple as you get started. There’s no reason that the majority of our first moments need to take place during our teens and twenties. We can engage in firsts at every stage of our lives. First moments come in all sizes—from something as simple as cooking a new recipe for dinner or exploring a new hiking trail. While a trip around the world will undoubtedly be an exciting adventure, it’s tough to pull off, so if your ambitions are too grand, you may spend more time dreaming than doing. Keep things simple, and start by trying to incorporate more first moments into your everyday routine. 2. Be intentional with your calendar. It’s important not to look at new, novel experiences as spontaneous occurrences that happen to you, but rather as things that you make happen. Life is busy, and time is a vacuum that will be filled with other people’s priorities if you don’t set your own. To ensure that we don’t let time slip away, at the start of every season we write down the first moments we want to experience, both personally and as a family, in a journal. Then we block time on our calendar so that nothing else gets in the way of these essential priorities. 3. Record and review new experiences. At the end of the day, and at the end of our lives, our memories of time spent doing things we enjoy with people we love are all we have. Take great pictures to capture your first moments. Documenting and sharing will not only slow down time, help forge your own memories, but it will also inspire others to experience first moments. Life is short and it can pass you by if you let it. Sometimes you need to break the script to appreciate what’s in front of you, to see what’s possible, and to slow life down. Look forward to your “something new” every day. First moments have the power to change us and slow down time. After all… life is nothing more than a series of moments. So plan more first moments that matter, both big and small, into your life. 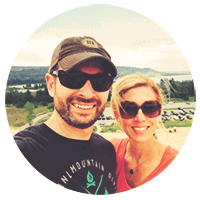 Jay Harrington is an author, reformed-lawyer-turned-entrepreneur, and along with his wife Heather runs a northern Michigan-inspired lifestyle brand called Life and Whim. He lives with his family in Traverse City and writes weekly about living a purposeful, intentional, and outdoor-oriented life on his blog.